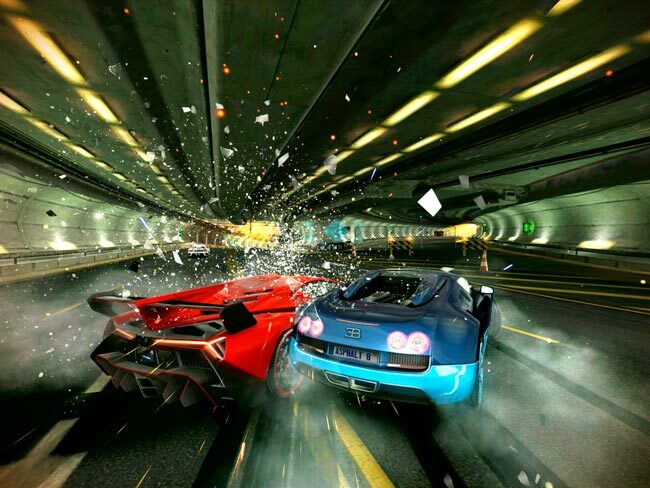 Racing games are one of the all-time most popular types of titles that are offered for mobile devices. With advances in graphics and studios putting much more time into their games, players are starting to see a next-gen level of racing on their phones. Gameloft, the publisher of the Asphalt series, are now beginning their long and sometimes silly teasing process for their upcoming title, Asphalt 8: Airborne. A8:A will feature eight brand new maps, complete with fabulous looking vehicles from makers such as Lamborghini, Bugatti, Zonda, Ferrari, Mercedes and many more. From what we can see in the trailer, we should expect ridiculous speeds, head-to-head action and a few mid-air barrel rolls from time to time. The game is scheduled for release this Summer.